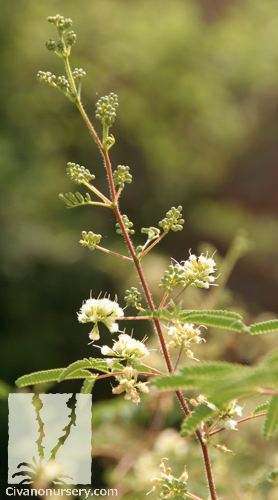 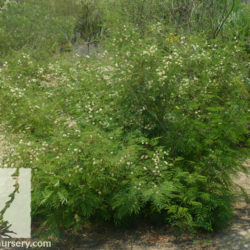 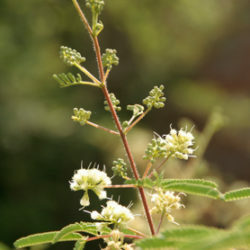 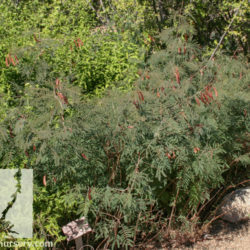 Prairie acacia is a delicate looking shrub that is actually quite foolproof; growing easily in almost any soil with good drainage, and performing well whether planted in full sun or shade. 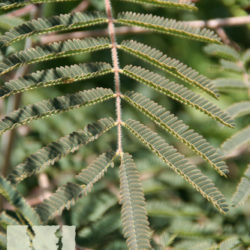 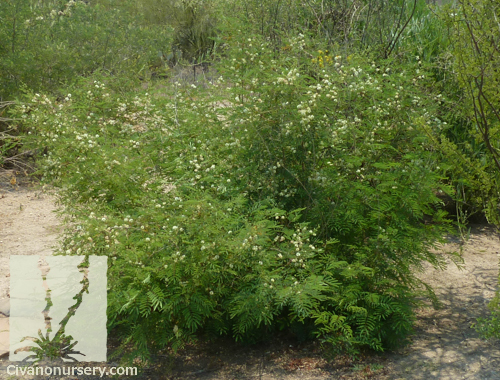 Its lack of thorns is an atypical feature among the usually thorny acacias, and its low growing, compact habit makes it a perfect fit for an incredibly wide range of garden spaces. 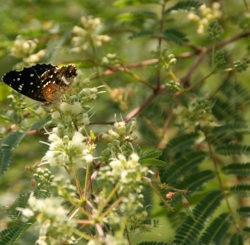 Butterflies will frequent the masses of white puffball flowers that appear from early summer into fall, and local birds enjoy the nutritious reddish-brown seed pods that follow. 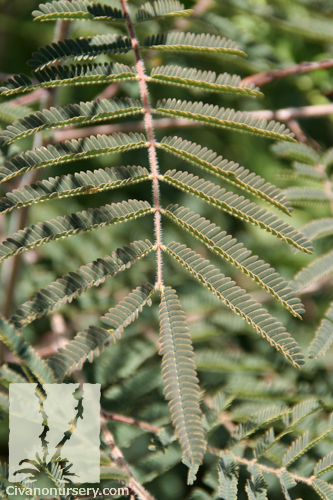 Prairie acacia’s sensitive, fern-like foliage will fold up in the evenings or when touched, and its fine texture adds to this plant’s dainty appearance. 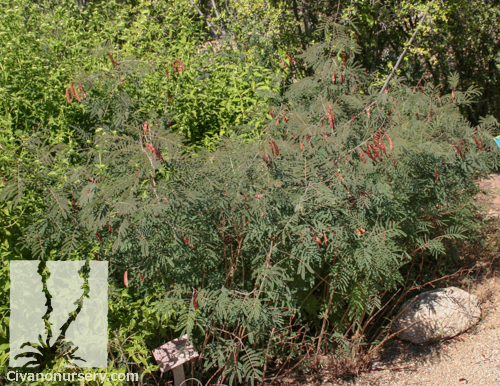 This plant may go completely dormant in winter, but its stunningly rapid growth rate makes for a speedy springtime recovery.